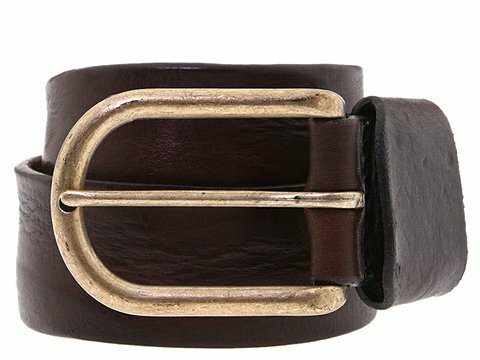 The perfect belt to complement your most comfortable denim jeans. Aged leather look with rustic features. DIESEL is logoed on the metal piece at the tip of the belt; Single-prong buckle with burnished gold tone. 100% leather. 1 1/2 belt width. Made in Italy.